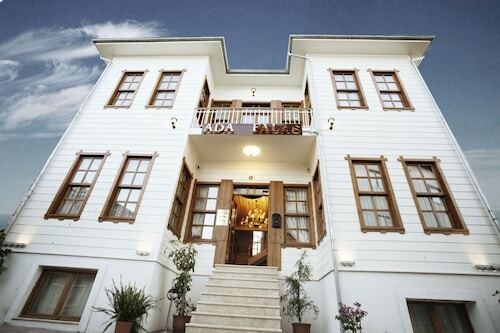 Situated in Adalar, this hotel is within a 10-minute walk of Adalar Museum and Dock Square. Troçki Evi Büyükada and Prinkipo Greek Orphanage are also within 1 mile (2 km). 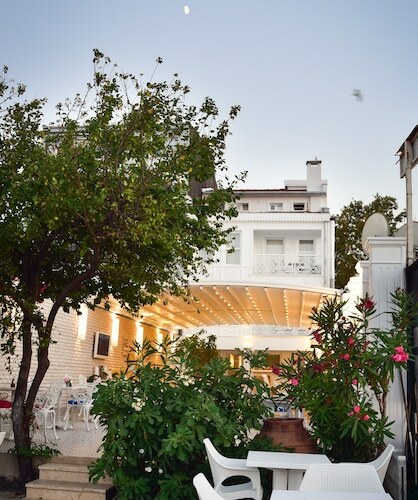 Located in the heart of Adalar, this luxury hotel is within 1 mi (2 km) of Kıvılcım Sokak, Troçki Evi Büyükada and Prinkipo Greek Orphanage. 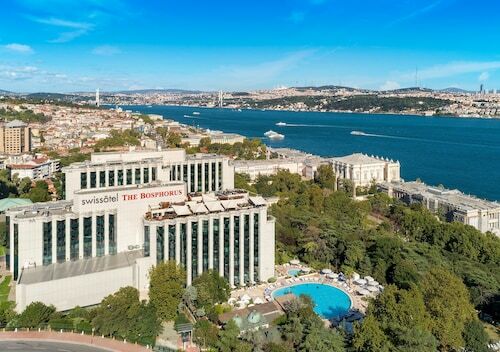 Museum of the Princes' Islands and Istanbul Toy Museum are also within 9 mi (15 km). Situated near the beach, this hotel is within a 10-minute walk of Dock Square, Adalar Museum and Hamidiye Mosque. Prinkipo Greek Orphanage and Troçki Evi Büyükada are also within 1 mile (2 km). 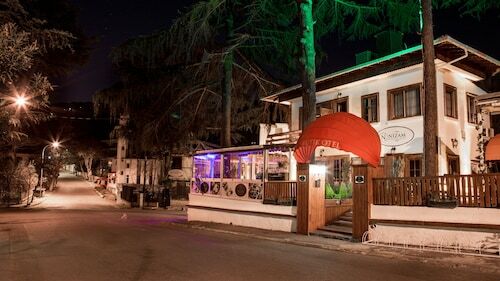 Situated near the beach, this hotel is within a 15-minute walk of Troçki Evi Büyükada and Yorukali Beach. Prinkipo Greek Orphanage and St. Nikola Monastery are also within 1 mile (2 km). Now that you've decided to travel to Buyukada, ebookers would like to assist you in finding a hotel that will suit your needs. Our website rapidly provides favoured hotels in the area so there'll be an array of options to select from. We offer various useful tools that you can use to quickly and easily filter the results of your search. One convenient piece of our site is our map, which gives you a simple way to locate a particular area for your visit to Buyukada. You can edit the filters to sort by area or popular location to find a hotel close to the city's top sights. 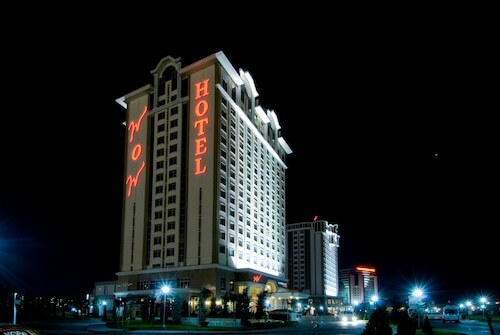 If you're searching for a deal, select the price per night box to find affordable accommodation that fits your needs. If you'd like certain facilities and services like free wifi or an indoor pool, you can decide to filter your search so you have everything you'd like to make for the perfect visit to Buyukada. We're interested in helping you decide how to get to your destination now that you've booked your Buyukada hotel. Our site can be your first stop for all your air travel and hired car needs. You can look for flights by number of stops, airport location, or departure time to book one that works for you. You may want to contemplate how to get around after you get to Buyukada. One option that's available to you is having a car for hire available for your arrival by reviewing our car hire deals. Visiting top sights and landmarks in the area surrounding Buyukada can be the highlight of any trip. Arranging a car hire is a way to make getting around the area convenient so you can be sure to experience everything Buyukada has to offer. 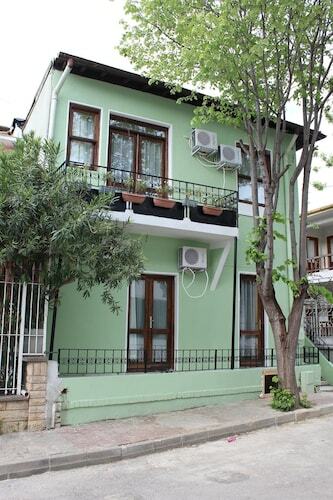 Keeping busy in Buyukada is easy when you use ebookers to sort through everything the area has to offer. Now that you've made use of our hotel filters to find accommodation close to popular sights, it's easy to find activities nearby. From walking tours to dinner cruises, you can scan our website for Things to Do to find something to suit your fancy. No matter how you want to explore Buyukada, you can check out our site for a variety of interesting activities. You don't have to go to third-party sites to see photos of activities that interest you, just click through the gallery to help make your determinations. If earning travel rewards and upgrades appeals to you, you can book through us so you can stretch your budget even further. The only thing left to do now is to relax and enjoy your holiday. Bit far from nearest metro stop, about 15 mins walk. Not many food outlets closeby. But hotel was very nice itself, although slow service at times. This is a wonderful getaway from Istanbul city life. The hotel is a quick walk from the ferry terminal and has a lovely pool. The highlight is traditional Turkish breakfast, which is served on the terrace and includes a huge range of breads, cheeses, jams and fruit/veg. The decor of the hotel verges on the kitschy, but not in an unpleasant way. We spent our stay lounging by the pool and exploring the Island by foot, and left feeling very well rested.